After Kim Jong Un asserted that he had a nuclear button at the ready, Trump last week dismissed the taunt by saying in a tweet that the U.S. button at his disposal was bigger and more powerful. Nikki Haley said North Korea should be clear that the US will not reduce pressure on Kim. 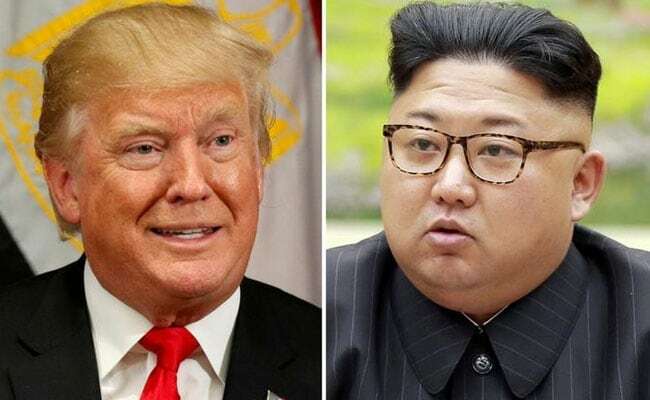 Washington: US President Donald Trump's tweet about having a bigger nuclear button than North Korean leader Kim Jong Un's has kept Kim "on his toes" and makes clear the risks of a nuclear standoff, U.S. Ambassador to the United Nations Nikki Haley said on Sunday. After Kim asserted that he had a nuclear button at the ready, Trump last week dismissed the taunt by saying in a tweet that the U.S. button at his disposal was bigger and more powerful. The comment drew criticism, including from former Vice President Joe Biden, who said it caused allies to lose confidence in Washington. Asked on the ABC program "This Week" whether the president's tweet was a good idea, Haley said: "I think that (Trump) always has to keep Kim on his toes. It's very important that we don't ever let him get so arrogant that he doesn't realize the reality of what would happen if he started a nuclear war." Haley said North Korea should be clear that the United States will not reduce pressure on Kim. "We're not going to let them go and dramatize the fact that they have a button right on their desk and they can destroy America," she said. "We want to always remind them we can destroy you too, so be very cautious and careful with your words and what you do."